If you want ‘Windows to Go’, you cannot just copy an .ISO file to the flash drive with Windows Explorer. Instead, you need assistance from a utility such as Microsoft’s USB/DVD download tool, or else try the built-in DISM tool. 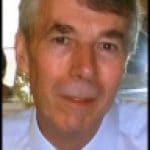 Repair an existing Windows 8 installation. Upgrade to Windows 8 from Windows 7. Install the Windows 8 operating system on a virgin machine. Try ‘Windows to Go’ as a business tool for working at different locations. Even though this free tool is designed to make a bootable USB flash drive for Windows 7, it works just as well with a Windows 8 .ISO file. The hardest part of creating this flash drive is getting a copy of the Windows 7 USB/DVD download tool (and that’s not difficult). This is Microsoft install technology at it’s best, just follow the menus, and in truth, you don’t need any further instructions! Note 1: While I concentrate on the USB stick or flash drive, you could use a similar technique and substitute a DVD disk. Note 2: I also saw ‘Windows to Go’ created with the command-line DISM (Deployment Image Servicing and Management Tool). However, the syntax and sequence looked tricky, especially if you used DISM or Diskpart to format the USB. Choose a ‘mother’ machine to create your bootable USB; Windows 8 is perfect for this job. Get your .iso copy of the operating system, in this case download Windows 8. 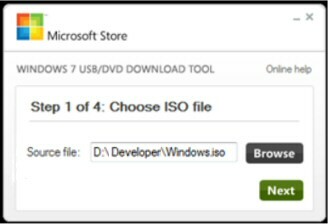 Employ the Windows 7 USB download tool for copying the .ISO file to your USB stick. Buy a 32GB USB stick. (OK, a 4GB stick will probably work but it may not support USB 3.0). Boot-up a ‘mother’ machine such as Windows 8, 7, or Vista. While XP is also possible, it’s best avoided because you get niggles such as installing .NET Framework version 2.0. Download the operating system of choice, in this case Windows 8. It really must be in .ISO format. Take a time-out to download and then install the Windows 7 USB/DVD download tool. Find where this tool it installed itself! Launch the Windows 7 USB/DVD download tool. Key Step: Browse for that Windows 8 .ISO file. Be prepared for any data on the USB stick to be wiped off, then watch it start to copy the files. Come back in 15 minutes and your bootable USB flash drive will be ready. Have you ever installed an operating from disk? Well now you can do the same for Windows 8 by using a USB stick prepared in this way. The biggest problem: The ‘wrong’ boot sequence, to check enter the BIOS settings (Try ESC, DEL, F1 or F2), make sure that USB is the first boot option and not the hard drive. Also see how to disable a Windows 8 USB drive with a Group Policy. Murphy’s Law of USBs. If you don’t check the contents, then the flash drive does not work. Therefore open the USB drive check that setup.exe exists, you could even double-click, but naturally, you cancel the install as you are only testing. Quite why there are so many different names for this external USB plug-in I am not sure; my friend ‘Mad’ Mick calls them pen drives, while ‘Barking’ Eddie always has a USB drive in his top pocket. A few years ago I though ‘I must get one of those new fangled flash drives’, only to be disappointed when I discovered this was just another name for a USB stick. One more source of confusion is that marketing men have got in on the act and have devised all manner of shapes for their clients. 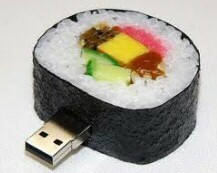 The good news is USB sticks are often given away as freebies, I was once given a delightful ‘Sushi’ pen drive on the back of a new restaurant promotion. ‘Windows To Go’ is a much catchier phrase than the stiff, corporate speak: ‘Microsoft’s Portable Workspace’. Once you read that phrase ‘Windows To Go’ you know what to expect, a Windows 8 operating system on your USB stick. Find another computer and just plug-in your pen flash drive and get your familiar version of Windows 8. The idea comes into its own when you are travelling light, without your laptop. Using your USB stick you can plug and play into a guest computer. With a little preparation you can ‘Ghost’ a Windows 8 operation system onto a portable USB drive. Best to err on the safe side and buy a 32GB USB stick to take advantage of this ‘Windows to Go’ concept. If possible choose version 3.0 of USB and a machine with the new UEFI firmware, however, Windows To Go works with both USB 2.0 and legacy BIOS. Maybe it was me, but I could not get hibernate to work, although this is no big deal. Another thing I noticed was that when I removed the USB device Windows To Go will froze, and gave me a minute to reconnect the USB stick. If I pushed my luck, and removed the hardware for longer than a minute then Windows 8 shut down – fair enough. Windows 8 will boot even faster then Windows 7, it may take as little as 20 seconds compared with about 50 secs for current Windows machines. The key is that a Windows 8 shutdown will incorporate elements of existing hibernation technology. Even though the shutdown machine uses no power, it will have settings stored in a hiberfile, as a result the new hybrid fast start will only take half the time of a Windows 7 machine, or a ‘cold start’ in Windows 8. It will also be possible to select programs or services for a Delayed Startup, this is why only programs you need immediately appear after booting, the rest follow a little later, the benefit is booting is that bit quicker. I have noticed another benefit of this new technology, awakening from sleep is less hesitant. One welcome feature of Windows 8 is native support for USB 3.0 devices. As a result we’ll get data transfer speeds at least 5 times faster than USB 2.0 – handy for installs and repairs. As a bonus USB 3.0 also uses less power. While you can already use USB 3.0 ports in Windows 7, in Windows 8 you will get native support for USB 3.0 thus avoiding having to download third-party drivers. UEFI (Unified Extensible Firmware Interface) is a 2010s specification. It interfaces between the operating systems and platform firmware, and one day it will replace the BIOS. The main benefit of UEFI to Windows 8 is speed of loading, a welcome side effect is less distracting flashing screens as the operating system initializes. It’s frustrated me for years that I had to buy additional tools to mount ISO files. A good move to mount ISO directly, and logical progression from burning .ISO files in Windows 7 to mounting them in Windows 8. The key point is you need Microsoft’s USB/DVD download tool. Otherwise you hit the problem that you cannot just copy the .ISO file to the flash drive with Windows Explorer and expect it to work.